"Every Ocean Reversed is a highly mature piece of work from a relatively young band. Featuring six songs and clocking in just under an hour in length the album traverses a lot of ground; journeying between crushing waves of heavy, iconic riffs to gorgeous tremolo sections that are breathtakingly beautiful and strangely anthemic. 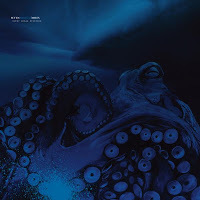 Every Ocean Reversed is a stunning album, with a much more diverse sound than many oft-criticised 'epic' metal bands. The heavier moments are incredibly dense with a doom/sludge tinged feel to them; the lighter moments move and interact with the rest of the music with a grace most bands are rarely blessed with." The album was mixed by Magnus Lindberg (Cult of Luna). Artwork was done by Pierre Johansson (Breach).